Over the last decade, the Maryland Film Festival (MdFF) has proudly championed the work of Greek cinema’s visionary filmmakers. Through our annual festival, we have hosted a variety of emerging works, from early highlights of the Greek Weird Wave, such as Yorgos Lanthimos’ Dogtooth, to striking, independent dramas like Boy Eating the Bird’s Food. With the SNF Parkway’s inaugural Baltimore Greek Film Festival, MdFF again celebrates the thriving output of Greek filmmakers with a cross section of recent works. Athens Olympic Village, ten years after the Games: wilding youths, injured retired athletes, and stray dogs, among ruins and decaying sports venues. When the Design Museum of Thessaloniki loses its venue, Stergios Delialis, its founder and a model of Greek industrial design, must decide what to do with his huge personal collection of pieces. HAPPY BIRTHDAY follows two family members whose ideological positions seemingly couldn’t be more different: a hard-nosed riot cop and his rebellious, anti-authoritarian teenage daughter. Caught between the mob and border patrol, washed-up musician Yiannis must put his plans to leave Cyprus on hold his when his beloved dog escapes across the wall to the island’s Turkish side. 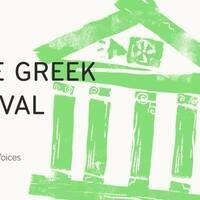 Tickets, more info, and a downloadable festival program can be found at https://mdfilmfest.com/series/baltimore-greek-film-festival/.